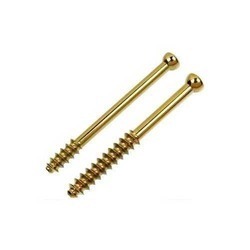 Our range of products include cannulated screw 6.5mm, thread length 16mm/32mm and titanium screw. diagnostic resources such as MRI are planned. Specifically designed for endoscopic femoral fixation where graft protection is needed. Cannulated for use with a guide wire.